Most people in the agricultural field have known about it for years…however it is still the newest sensation. FLUFFY COWS! Yes it has even hit the news and social media and has spread like wild fire. However to me these cattle aren’t just to look at, it is really a lifestyle. One that takes a lot of determination and commitment out of individual lives all over. Today while I was at work, I was rinsing the cattle and I thought to myself ‘Why am I doing this?’ It then dawned on me for that the past eleven years of my life, I have spent countless hours in a barn trying to grow hair and get that ‘Fluffy Cow’ look. The work goes so much deeper though. I was willing to spend hours brushing because I loved the game. I love the work it takes to feel accomplished. I like the way people will look at my livestock as they are presented in the show ring. I also like the people I have met and came to know. 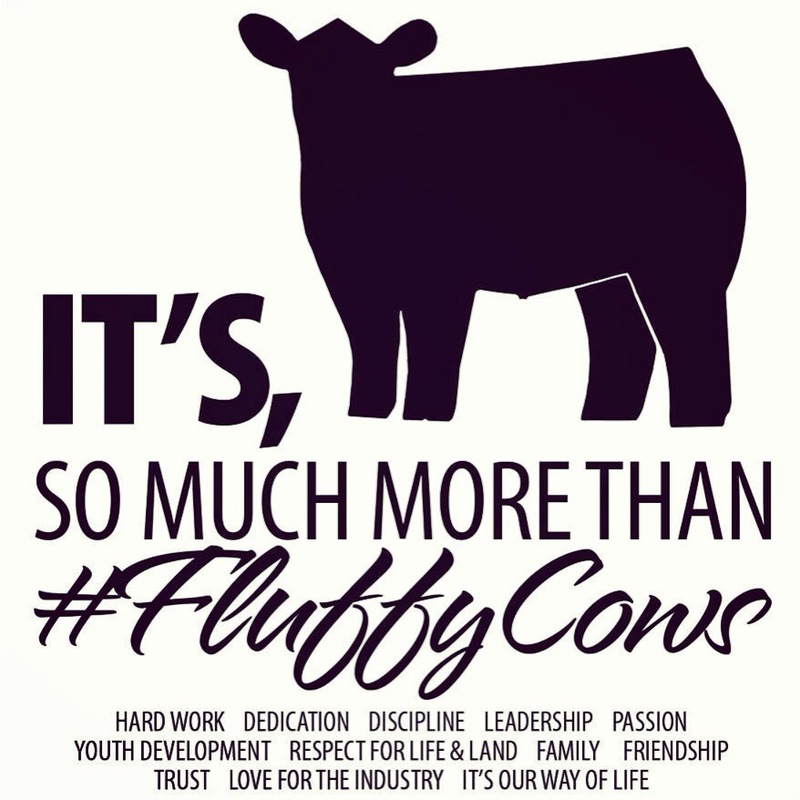 Through this ‘Fluffy Cow’ frenzy I have made countless friends and met people with in different parts of the industry. No doubt about it, these show cattle look top notch in a pasture, but it is also the producers who don’t have hairy livestock that really need the spot light. Day in and day out, cattle producers spend remarkable time making decisions for the consumer (A.K.A. YOU!). Sure they aren’t in a barn trying to grow hair, but they are trying to produce other things; such as weight, muscle, and more cattle. The choices aren’t just decided right on the spot….they all take management practices and decisions for the best of everyone. 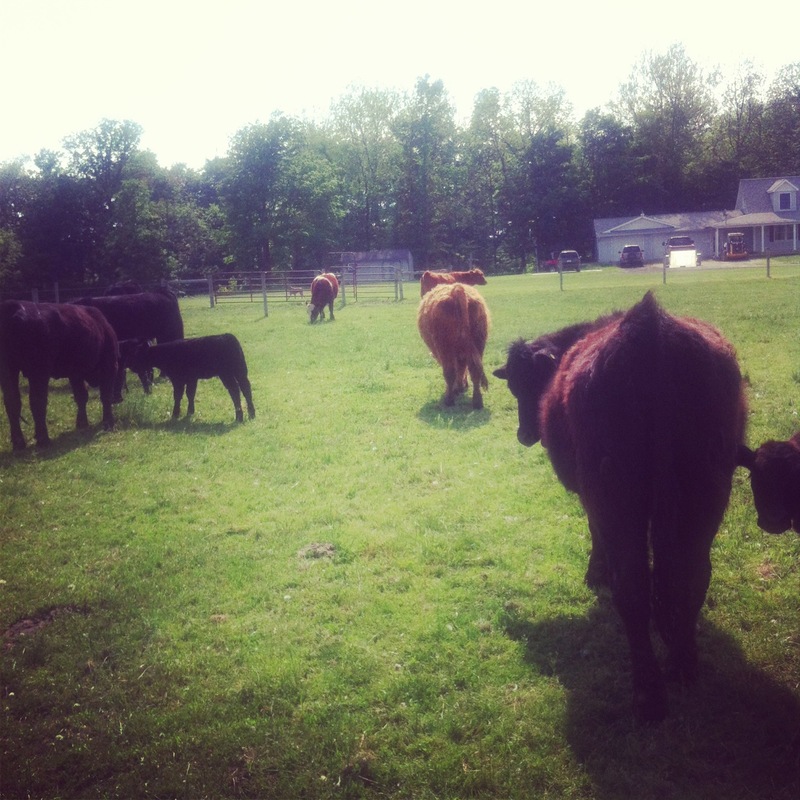 Here is part of my herd that I run at the house. Sure they aren’t as neat to look at as Heinz, but they still are practical cattle that deserve some recognition in the media spotlight. With all this said, next time you see cattle in the pasture make sure you think of the producer behind it. 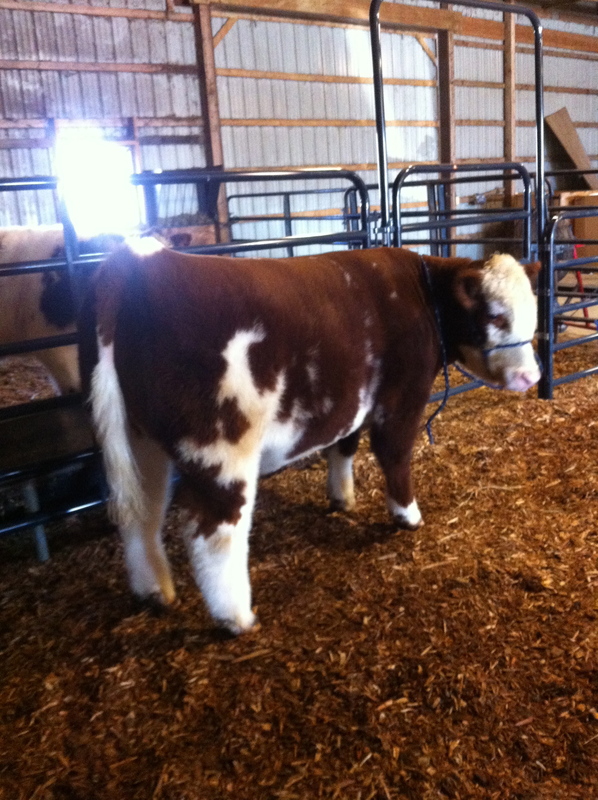 If you happen to be at a show and see one of these amazing “Fluffy Cows” make sure you tell the exhibitor they did a nice job….trust me when I say that it took A LOT of work to get that way! This entry was posted on June 5, 2013 at 3:21 pm and is filed under Uncategorized. You can subscribe via RSS 2.0 feed to this post's comments.